Goosebumps are actually a useless holdover from our hairier days. We get them in reaction to the cold, to fear or any other strong emotion. This is what happens. When we walk into a freezer or suddenly find ourselves face-to-face with a grizzly, the part of our brain called the hypothalamus kicks in. It signals our body to produce adrenaline, which causes muscles at the base of our hairs to contract and stand on end. We are not exactly covered in a dense coat of hair these days. Well, at least not most of us. So all we see are raised bumps. But back in the good old days, those raised hairs allowed us to trap a layer of air, which insulated us from the cold. Well, I will be a monkey's uncle! Er, distant relative . . . whatever. 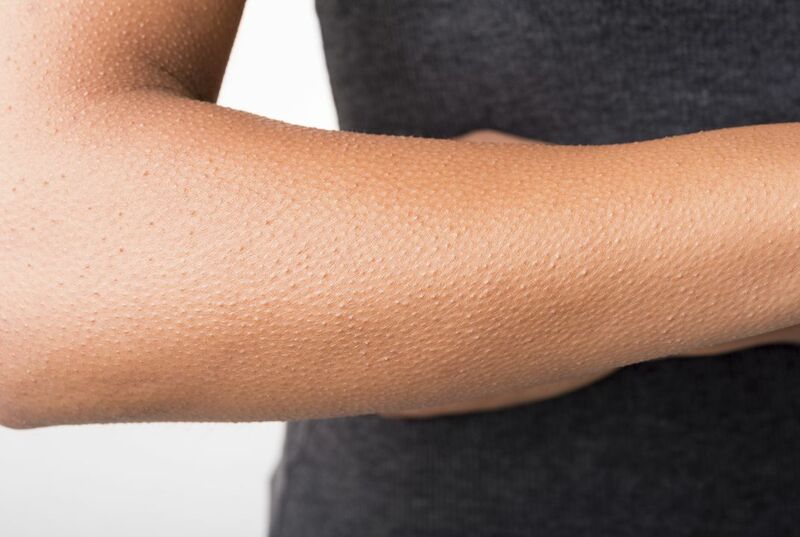 I think we get goose bumps when we're either cold or really excited for something. that is why I think we get goose bumps. Before I read this article I did not know that when your hairs raised it made a layer that gave you more warmth. When the author told that we need to run or bring it.There is one main reason of what he meant. The reason is that he is saying that if we get hair covered around body,to get protected from cold.Then he says that when we get goosebumps because of cold we need to either run that he meant is escaping from that feeling, flight response or bring it which meant we need to put a fight response. I learned that goosebumps are actually hold over our hairier days. What the author means when they say: "Run" or "Bring it" that you will either run away from the predator you are facing or fight it. I think this is actually really cool! The way that back in the old days when our hair would raise up we would become more intimidating. its very interesting to learn about but kind of weird.